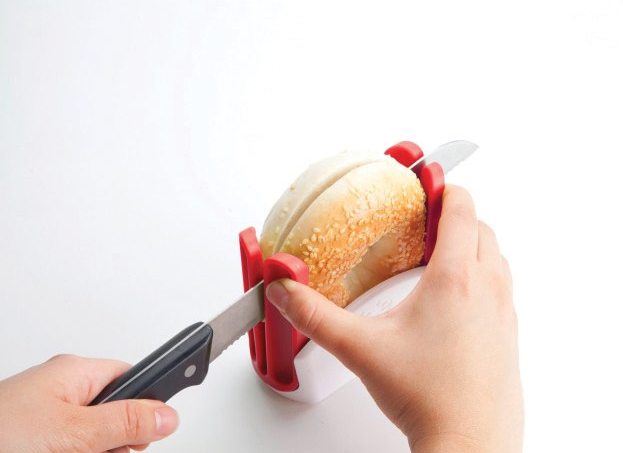 Safety Bagel Slicer allows you to slice a bagel with ease. Raise guide arms and secure the bagel in place by applying pressure. Guards on either side keep bagel from moving around as you make your cut. 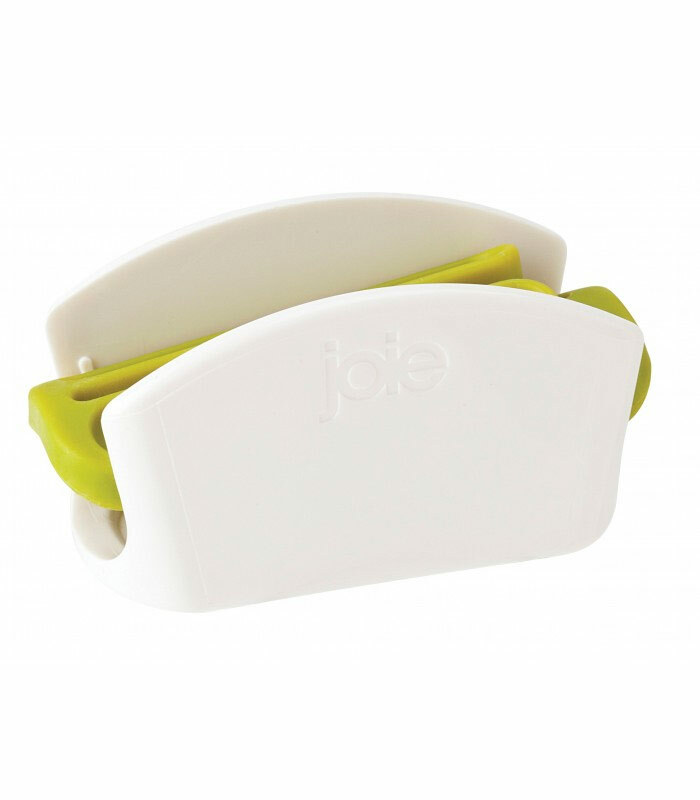 Made of stainless steel for durability, the blade cuts two even slices for the perfect sandwich. Guide arms fold for easy storage. BPA free. Top rack dishwasher safe. Measures 4 W x 2 D inches. 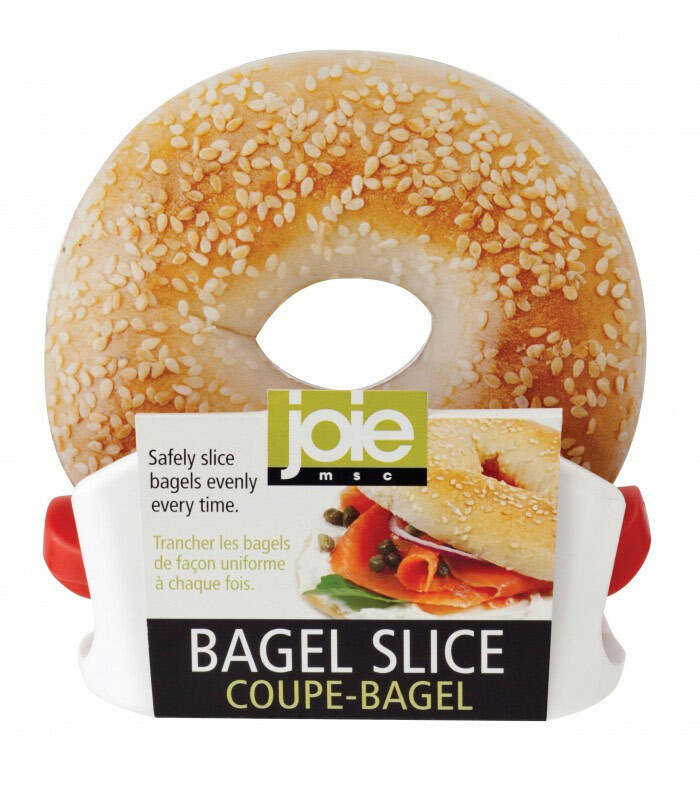 With bagel guard up measures 4 inches high.